Long before globalisation, there was Bush House. 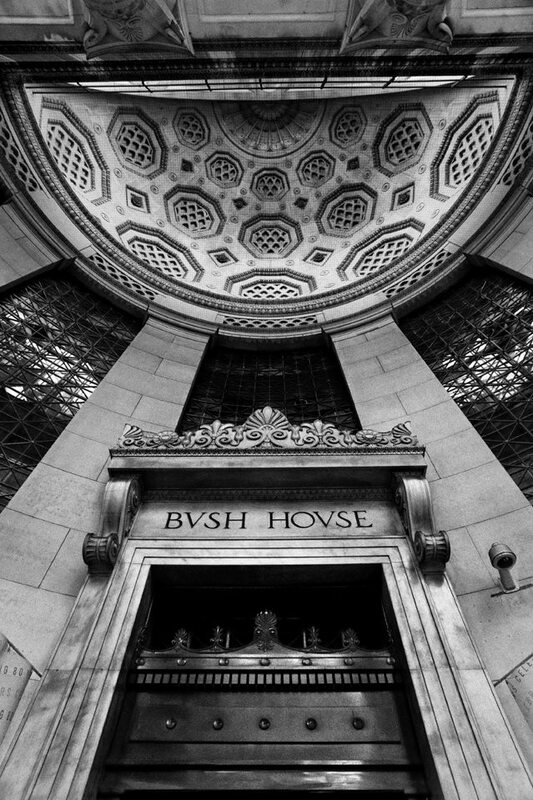 Home to the BBC World Service – grand in parts, beautiful in its own labyrinthine way, Bush House nurtured multiple languages and cultures for more than seventy years. On Friday the last of the language services left for the purpose-built news centre in new Broadcasting House. Overnight, English current affairs programmes completed their move. When the final radio news bulletin goes out to the world on July the 12th, that’ll be it. 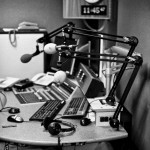 The end of a broadcasting era – and possibly of much more too. Of course, the BBC World Service goes on. Animated Russians spill out of studios a few kilometres across town. Indonesians smoke pungent clove cigarettes in Portland Place instead of the Strand. They’re working out of a first class, brand new broadcasting centre so let’s put sentimentality about an old building aside. But Bush House was always much more than its marble-clad staircases, cluttered offices and art deco halls. Even within the sometimes haughty circles of the far bigger domestic BBC (and certainly amongst its competitors) “Bush” was respected as an ethos as much as a place: the embodiment of thoughtful, outward looking journalism and a hub of international expertise. Will that survive as the World Service moves in to new Broadcasting House with the rest of the London-based BBC? If this were just a physical move, I’d give it more than a fighting chance. But the emptying of Bush House coincides with the slashing of World Service budgets – and more. The Foreign Office, once its funder and protector, is casting the corporation’s international arm adrift, leaving it to sink or swim inside an embattled BBC that’s in no position to be generous. The changes were announced in late 2010 when the World Service was adapting to ever smaller budgets. Suddenly the new Conservative government demanded further savings – of 16%. Five language services closed almost immediately. Radio broadcasts in seven others (including Russian and Chinese) stopped (they’re mostly online services now, there’s also Russian TV). Shortwave signals in six more were switched off. The BBC’s only daily English language programme dedicated to European news disappeared. Those were the headlines – and they were met with an outcry from Members of Parliament of various shades – but there were many other casualties: an editor here, a producer there. A researcher seat suddenly empty, fewer slots for original documentaries, more repeats. And, perhaps most ominous, the letting go of the experts. Off went the China, Russia and Central Asia specialists. The brilliant Arab analyst Magdi Abdelhadi left – right in the middle of the Arab Spring. These were people you could call on at a minute’s notice to deliver live analysis on air. As a former presenter, I can’t count the number of times I leant on their insight and expertise. Their jobs no longer exist. There are of course still many people within the World Service with extraordinary knowledge and a real interest in the forgotten as well as the more commonly reported parts of the world. They are amongst the BBC’s greatest assets, the staff who lend authority and credibility to BBC news and current affairs. But for how much longer? In that same spending review, the Foreign Office announced that from 2014 it would no longer fund the World Service through a grant-in-aid. It’ll be paid for through the television licence fee, just like any other part of the BBC. Except of course it’s not like any other part of the BBC. While up to two million people a week do listen to World Service English radio programmes in the UK, that’s not who the broadcasts are meant for. 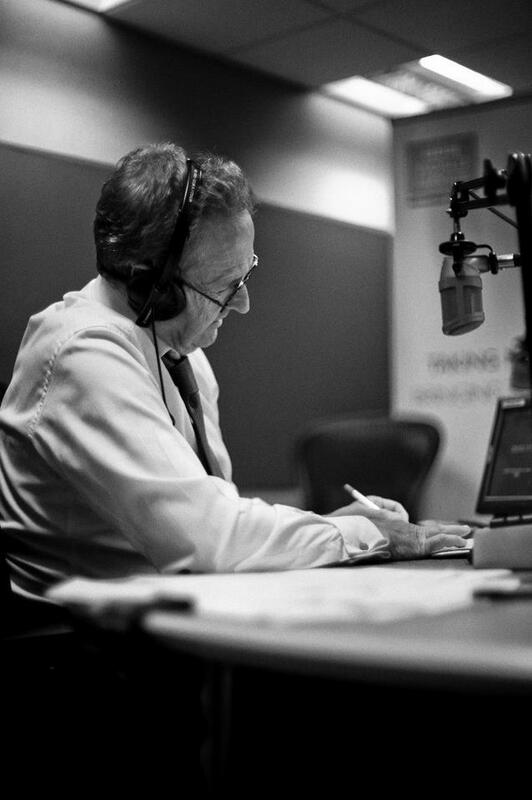 Everything World Service radio does is directed at its 180 million strong audiences abroad. When it comes to deciding whose needs and wants come first there’s no way the BBC bosses, answerable to the licence fee payer at home, can put the foreigners anywhere near the top of the list. That’s good of him. I’m not sure how it’ll happen without real commitment from government, and from the top of the BBC. There must be a recognition that the Bush House ethos, even without Bush House, must be kept alive. They could start by explaining to the British public why the World Service is worth paying for. It is, after all Britian’s most successful export, one of the few institutions bar the Monarchy that provokes both affection and respect for this country overseas. The World Service has lost resources and its much loved home; by 2014 it will have lost a quarter of its staff and its traditional source of funding. Yes there will be benefits from working more closely with colleagues from other departments day to day. But there are also threats. You can’t blame the incredibly dedicated World Service staff for worrying that they are about to be swallowed up by the domestic-facing BBC. “Nation shall speak peace unto nation” is the BBC’s motto. And so it shall. But the respected voice of this nation is already getting fainter. With the closing of Bush House, it’s going to need all the help it can get to be heard. 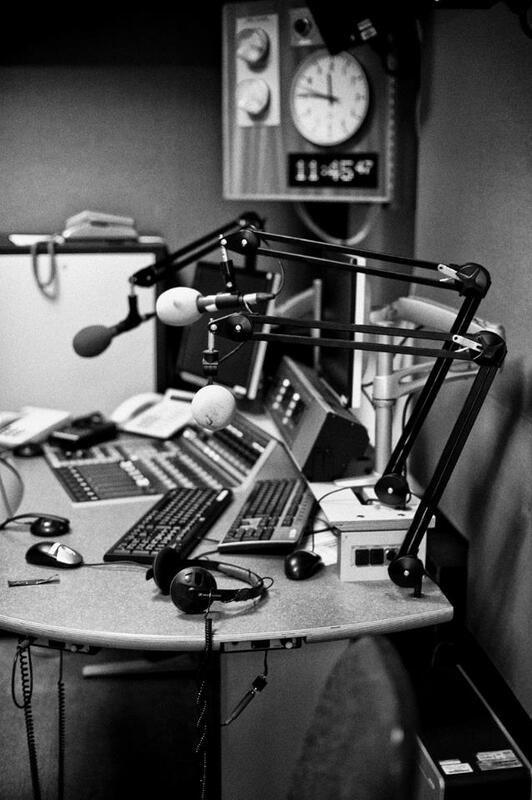 Good to have you on the World Service airwaves on programmes’ last weekend at Bush – and do come and see us at our new home. Great piece Claire, the points you make about the changing to the funding of the World Service are very important. Hopefully this great institution can survive – and even thrive in the future (whatever building it broadcasts from). But you are absolutely right that in order to, there has to be commitment from the top of government – and the top of the BBC. Let’s hope they all step up. All relevant well made points, but there are other funding nightmares the BBC is facing too, and with these, come additional threats to the BBC World Service. The licence fee must take on Welsh Channel 4 – S4C, which has raked up massive debts, it must also hand over a chunk of licence fee money to the development of local TV. It is also trying to sell off some other key London buildings, in the hope of plugging some of the funding hole, but they don’t seem to be having much success with that. So, there are many other demands on that hard pressed licence-fee, all these outlets will be fighting for their bit, and it will be amazing if all but the domestic, immediately obvious services can remain. World Service has a lot of internal publicity and shouting to do if it is to get its fair share of the cake. Very interesting article. The World Service has grave times ahead, I’m afraid. Funding it through the licence fee means it will continually have to battle against services for UK audiences, and I don’t think that is a battle that can be won. If the UK licence fee payers were offered a choice between more programmes on the UK networks and services, for Africa, for example, they will come down in favour of services for the UK. What happens then? The only way to safeguard it is through separate funding. It is shocking that the BBC gave it up so easily. That brings us to the licence fee: The concern is that the BBC seems to have given up arguing for any kind of licence fee increase – even a modest one to keep up with inflation. We may well be in cash strapped times, but Sky havent given up. Virgin Media havent given up. BT havent given up. If you don’t defend your funding you are dead in the water. The final nail in the coffin will come (probably fairly soon) when other broadcasters start asking for a slice of the licence fee in order to set up ‘public service’ channels. It doesn’t take a massive leap of imagination to see Channel 4 asking for a piece of the licence fee in return for running a commercial free channel. I asked Mark Thompson once how he envisaged arguing against that and I never get a satisfactory answer. The BBC World Service is a very important world voice. This government are hell bent on destroying it. But then why should we be surprised at that since they are destroying everything else. Bush House was an important part of the BBC culture.